Indiana based bulk printing firm Digital Printing Incorporated is housed in an older pre-manufactured steel building in Madison. The 10,000 sq. ft. metal roof had begun to leak some years ago and the building owner had covered the facility with EPDM rubber roofing. 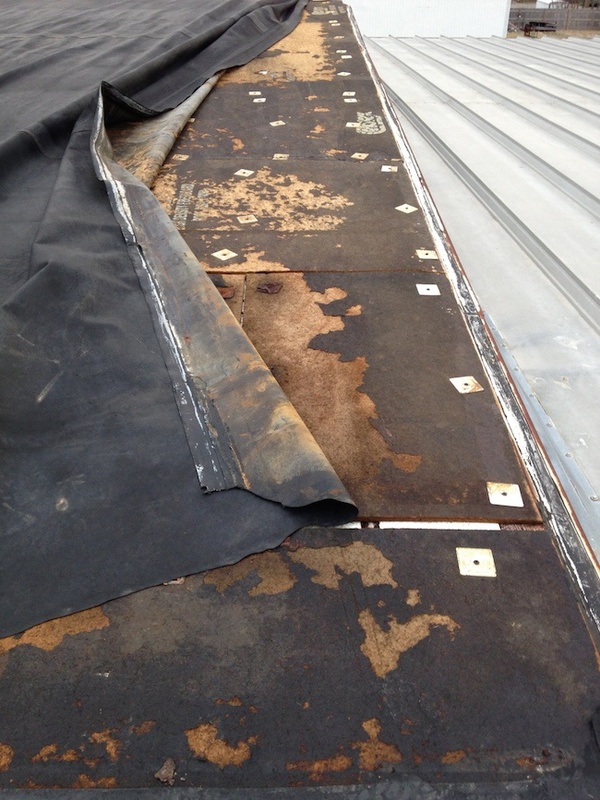 The rubber roofing performed well for a number of years but over time the seams had begun to separate and pull apart until one night a strong thunder storm blew open the rubber roof. That’s when the building owner called in Exterior Pro. Upon arrival to the job site the guys at Exterior Pro immediately noticed that if left unchecked the torn rubber roof may blew completely off in the next storm leaving the metal roof completely exposed. So the roof was temporarily covered with a heavy gauge tarp and furring strips as the insurance adjustor was contacted. Exterior Pro worked closely with the building owner’s insurance company throughout the entire process and scheduled to meet the adjustor on site the day of his visit to inspect the damaged rubber roofing. Exterior Pro provided the adjustor with pictures, measurements and an accurate estimate of the cost to repair the metal buildings roof. The adjustor was more than fair with the building owner and paid for a new roof. Exterior Pro proposed to leave the existing rubber roofing intact and the insulation under it and recover the metal roofing with a white, PVC single Ply membrane called Duro -Last. Exterior Pro is an Indiana Duro Last roofing contractor and has used the PVC membrane successfully over metal roofing and rubber roofing for many years. The installation process of recovering a metal roof with Duro Last is quick and clean. No harmful chemical or torches with open flames are used and the existing roof stays intact so there is no mess or building disruption to deal with. The entire 10,000 sq. ft. building was recovered in one day. After the initial sheets were installed the crew used a hot air welder to permanently seam the PVC Duro Last together. 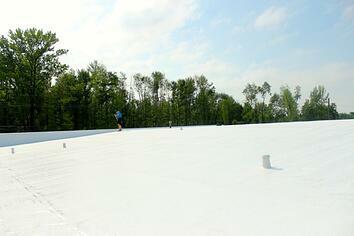 Custom sized flashings were used around the stacks and the front parapet wall was even encapsulated. New metal trims were installed on the front edge of the wall and new drip edge was installed into the gutter. Finally the two way air vents were installed so the commercial roofing system could breathe and the job was inspected by a Duro Last Quality assurance tech and passed with flying colors. Throughout the entire process it was business as usual for Digital Printing Inc. and they have a new Duro Last roof the keep their business dry for many years to come. 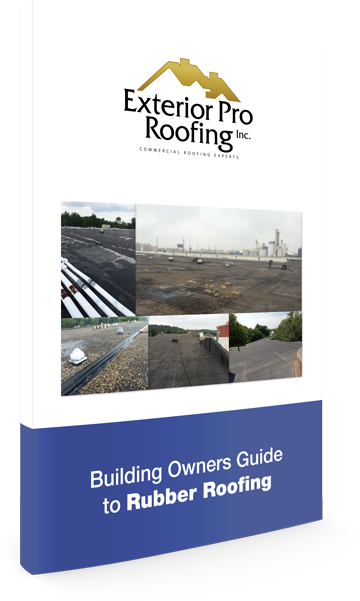 Learn the repair options for building owners with rubber roofs and how to extend the life of your rubber roof.